Fig. 1. Boston Children’s Museum. New building. ©Karin Hansen | Boston Children’s Museum. In 2015, the International Council of Museums choosing to celebrate the International Museum Day with the topic “Museums for a sustainable society”, takes part in the discussion that had begun in the 1980s on how culture relates to sustainable development. Sustainability as a concept is introduced to the field of museums at the start of the 21st century, particularly since 2008 due to the international economic crisis; What does the principle of sustainability mean to a museum? How is it linked with its basic functions, such as collections, research and communication? In what ways does a museum attempt to ensure its sustainability, as well as fulfilling its mission which by definition is to contribute to society’s development? Since the early 1980s, in the wake of the oil crises that also came before the economic recession, the principles of neoliberalism and the practices of new public management practices are established both in Britain and the USA and gradually in other countries as well; cuts in resources, privatizations, introduction of strategic planning and management models, emphasis on competition, individual responsibility, efficiency measurement based on criteria are some of the new public management’s features (Hood, 1991), that are also gradually recognized in the museum landscape. In fact, for the museums of the Western world, the 1980s are the starting point for a series of fundamental changes that still apply today. Despite culture being underfunded, the number of museums is increasing, new buildings are being constructed, blockbuster exhibitions are being created, emphasis is placed on informal education and recreation and more and more visitors are being drawn in. New professional identities are emerging, both through the actual museum institution and through specialized studies in new scientific fields. Museums are evolving into popular destinations for fulfilling “a particular kind consumerism” (Desvallées & Mairesse, 2010, p. 21), functioning as institutions with tradition and prestige within societies transformed “from homogeneous to multicultural and on economies based more on information than on resources” (Lord, 2003, p. 1). These economic and social conditions create a fertile ground for the introduction of tools to be used in the strategic planning and marketing of museums while there is a gradual increase of cases of museums playing a central part in programmes for the enhancement and development of cities and wider regions. Looking at the international environment and the argument put forth by institutions such as the United Nations and the European Union concerning the relationship of sustainable development with culture and museums in particular, one of the first landmarks is UNESCO’s World Conference on Cultural Policies taking place in Mexico in 1982. As a contribution to the debate it offers a broader definition of “culture” as “the whole complex of distinctive spiritual, material, intellectual and emotional features that characterize a society or social group” that “includes not only arts and letters, but also modes of life, the fundamental rights of the human being, value systems, traditions and beliefs” (UNESCO, 1982). At the same time, it points to culture’s possibility to function as a tool with two uses as on the one hand it provides the qualitative parameters to achieve “the aim of genuine development” which “is the continuing well-being and fulfilment of each and every individual” and on the other to set up successful intervention strategies in the public sphere (UNESCO, 1982, Articles 10 and 16). On the other hand a landmark for the introduction of the concept of sustainability is the 1987 publication of the report entitled Our Common Future by the World Commission on Environment and Development of the United Nations. Here, the most well known definition of sustainability is formulated by the head of the Commission and Prime Minister of Norway Gro Harlem Brundtland: “Sustainable development is the development which meets the needs of current generations without compromising the ability of future generations to meet their own needs” (United Nations, 1987, p. 49). The Commission’s aim was to propose long-term strategies to tackle poverty and environmental deterioration at a local, national and international level. This text, a point of reference in every relevant debate, provided the basic model to date for considering the concept of sustainability: it concerns a system of three interdependent factors, or “pillars”, as they are called, the economic, social and environmental ones. Moreover it linked sustainable development with everyone’s right to quality of life, and stressed the importance of integrating the principle of sustainability at all levels of decision-making processes for all matters relating to human living and development of individuals and nations. The Earth Summit in Rio de Janeiro in 1992 consolidated this format proclaiming the need for incorporating the principle of sustainability in public policies regarding the three pillars of social equality, environmental equilibrium and economic development (United Nations, 1992), while in 1998 in Stockholm, the Intergovernmental Conference on Cultural Policies for Development goes a step further by declaring that “Sustainable development and the flourishing of cultures are interdependent” (UNESCO, 1998, p. 2) characterizing the respect of cultural identities, socio-economic equality and tolerance towards cultural differences as prerequisites for peace and development (UNESCO, 1998). Entering the 21st century, there was a call to recognize culture as a factor for sustainable development, as a cohesive link in the other three pillars, as, according to its broader definition, it concerns every aspect of human behaviour (Hawkes, 2001, p. 3). The argument that places culture within the sustainability model is developed through an instrumental approach in 2001 by Jon Hawkes, in his study of the ways in which culture can contribute to the implementation and evaluation of activities and services that are started by local government in the state of Victoria in Australia. He calls cultural sustainability the “fourth pillar”, which he considers as “essential to a sustainable and healthy society as social equity, environmental responsibility and economic viability” (Hawkes, 2001, p. 32). By directly associating culture with sustainable development, he argues that for an effective strategic planning in the public sphere indicators should be provided for that also assess the cultural impact of services provided beyond their social, environmental and economic implications. This parameter is of particular interest because it pinpoints a critical issue regarding claims that strongly concern in subsequent years and to date, people from the cultural sector in general and particularly those of museums; in what manner will culture claim a central, key position in policies of development in order to ensure its viability, through access to increasingly scarce resources, so as to contribute in future to sustainability? And how will this twofold goal be achieved in a global community shaken by the impact of the economic crisis and chronic deterioration of the natural environment, on which it bases or hopes to base its prosperity? In 2010 and 2011, two successive Declarations of the UN General Assembly on “Culture and Development” call for culture to occupy a key position in policies of development, arguing that identities, innovation and creativity have their sources in culture, facts that strongly contribute to the fight against poverty (United Nations, 2010 and 2011). At the Rio + 20 Conference on Sustainable Development in 2012 (United Nations, 2012, pp. 5, 23) there is mention of the contribution to growth and employment of cultural diversity, of cultural tourism and eco-tourism. However the model of the three pillars of sustainable development is promoted with the eradication of poverty being its primary aim and necessary prerequisite for its success, since 20 years after the historic Earth Summit, one in five inhabitants of the planet continues to live under conditions of poverty and one in seven to undernourished (note 1). The effort to include culture in the United Nations development agenda for the post-2015 era was the key task of the international conference “Culture: Key to Sustainable Development” held in Hangzhou in China 15th to 17th May 2013. In the Conference’s Declaration it is requested that “be included as the fourth fundamental principle of the post-2015 development agenda, in equal measure with human rights, equality and sustainability. The cultural dimension should be systematically integrated in definitions of sustainable development and well-being, as well as in the conception, measurement and actual practice of development policies and programmes.” (UNESCO, 2013, p. 6). It is also recommended that “a specific Goal focused on culture be included as part of the post-2015 UN development agenda, to be based on heritage, diversity, creativity and the transmission of knowledge and including clear targets and indicators that relate culture to all dimensions of sustainable development.” (UNESCO, 2013, p. 10). Concluding this brief overview in regards to how the relationship between culture and sustainability is approached at an international level, it is noted that similar ways are being followed by the EU’s framework of analysis and its policies. It was only in 1992 with the Maastricht Treaty that the role of culture in Europe was formally recognized, while with the Lisbon Treaty in 2007, the theoretical, ideological approach to culture and its programmes of implementation are developed based on two aspects. One being a national / regional diversity – the other a common European cultural heritage (note 2). Thus, in the period between 2000-2013, mainly through two programmes, that of Culture 2000 and Culture 2007-2013 projects were approved that encourage a common European culture as a set of diverse cultures in collaboration and interaction, projects that promote intercultural dialogue and access to knowledge as well as those that facilitate mobility of cultural goods, artists and those working in the cultural sector (note 3). In the new programming period, based on the three part model of sustainability, cultural heritage, in particular, is considered a basic factor in achieving Europe’s strategic goal 2020 for “smart, sustainable development for all” (note 4). – museums associations acting at a national or regional level, providing guidance and organizing information campaigns on ways of integrating sustainability in the everyday operating of museums, as did the Museums of Australia since 2003 (note 7), or as did the British Association of Museums in 2008-2009 (note 8). In the case of Britain, this activity was realized as a cycle of workshops and counseling throughout the country in order to discuss the institution and operation of the museum in the light of economic, social and environmental sustainability, and to support museum professionals to integrate the principles of sustainability in museum practice. The topic of the six briefing campaigns published by the British Association of Museums on its website is also indicative of the new priorities that are being established. These focus on governmental and regional strategies, human and financial resources, sustainability and the search for a new vision of the 21st century museum (note 9). Scanning the published material of the discussions (note 10) it is obvious that the relationship between museums and sustainability is a two-way approach, since it concerns the survival and development of the actual museum institution as a prerequisite and at the same time is a result of its contribution to sustainable development of the community it serves. It can be seen as two sides of the same coin when discussing on the one hand the map of British museums that have closed since 2005 due to cuts in subsidies (note 11) and on the other the recent controversial choices regarding business sponsorship of the four big British museums in the name of economic viability and development (note 12). It may be also necessary to go back to a common starting point, where basic principles for a museum’s proper operation are adequate financial resources, a clear funding policy, a professional economic management and the securing of the content and integrity of museum activities (ICOM, 2009, p. 17). What is more, perhaps it is desirable to reflect on the course taken by museums to date, a long period of “anxious engagement in economic and business activity and trade, its main feature being the adoption of economic interest in the institutional decision-making process” (Janes, 2010, pp. 4-5). With the trend for an ever greater reduction of government assistance to museums being internationally documented, the proposed solutions for a museum to ensure its viability undermine museums’ vested interests acquired over the last 40 years, without, in my opinion, facing their impasses. While the so-called “change of example” includes the merging and abolition of structures or even the planning for a non-permanent operation of museums or museums operating a few days a week, or even the re-examining of policies concerning the concession of collections and the questioning of the actual use of so many different specialities in a museum’s operation (note 13), many museums continue to “perceive as the only solution for their survival or prosperity the unlimited enrichment of their collections, the vain architectural projects, costly exhibitions, their shop sales and their preoccupation with the number of visitors” (Janes, 2010, pp. 4-5). However, another attempt at interpreting and addressing these issues directs museums towards priorities with qualitative rather than quantitative features, which ultimately are based on the principles of environmental and social sustainability. In terms of museum practice these principles are translated into long-term action relating to all the functions of a museum. 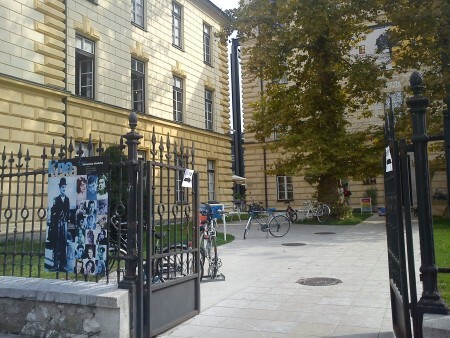 These activities are distinguished for their increased responsibility in management, as they seek a new role for the museum; the museum that is organically integrated into society co-creates cultural capital for the improvement of the quality of life both for its members as a whole and future generations (note 14). Through specific examples concerning different types of museums and projects, an attempt will now be made at a preliminary, absolutely indicative presentation of the possibilities opening up in this direction. The principles of environmental sustainability are increasingly likely to find application in the world of museums and help to redefine their role. They are directly linked to policies and practices for an overall museum operation in an ecological manner, to saving resources and energy with a positive impact on the management of collections and the comfort of visitors and employees, as well as with activities related to communication and education for the development of a sustainability culture. 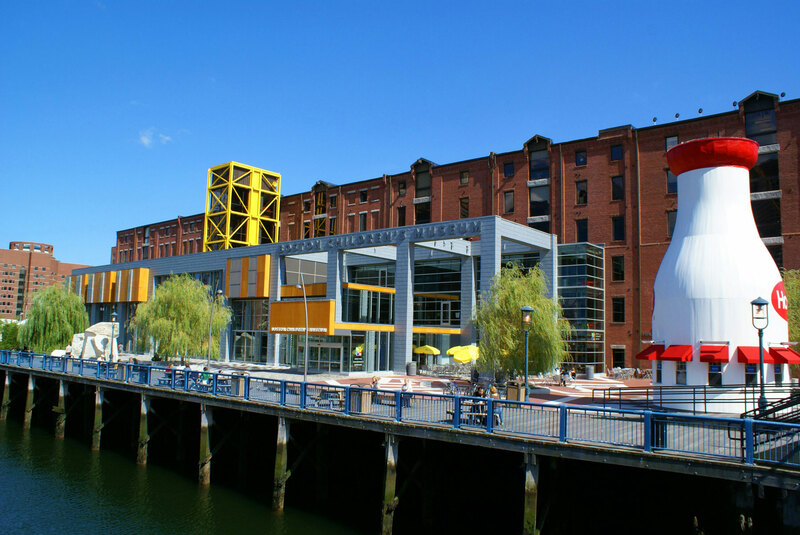 One of the first museums internationally certified as green is the Children’s Museum of Boston after the completion in 2007 of the extensive project for its infrastructure’s expansion and renovation (note 15) (fig. 1). In the course of a century, this museum’s sustainability culture is part of its mission and is reflected in an original manner in the pedagogy and interpretation of its collections. The construction of a green building was yet another important anticipated step. The building’s location in Fort Point Channel was utilized for the return there of rainwater that is collected from the green roof of 6,400 square meters, to be reused in the building’s water supply. The heating and cooling systems operate based on actual conditions of the building’s capacity, while the choice of low-energy lighting also contributes to the conservation of resources. Since the issue of air conditioning and lighting is crucial to a museum’s correct operation (note 16), in the case of the Children’s Museum of Boston architectural solutions were given that allow full use of natural lighting and ventilation and contribute to regulation of the temperature inside the building. The actual materials for its construction were recycled and recyclable, with a low content in substances responsible for the “sick building syndrome”, while half of these came from the city’s neighbouring districts. The viability of the entire venture would have been precarious had it not been accompanied by changes in daily practices at all levels: for example, the museum has drawn up a list of suitable products for the cleaning of museum spaces and has trained the appropriate staff for ways of storage, use and disposal of chemicals, paper and other materials. At the Victoria & Albert Museum of London (note 17), sustainability was identified as a strategic priority since 2005. The museum monitors the progress in the reduction of energy and is one of the first museums that took the appropriate measures for different aspects of its operation such as the use of machinery and computers, exhibitions, the running of shops etc. An important measure for energy conservation was the combined installation and use since 2006 of a modern system of Combined Heat and Power shared with the Natural History Museum. In Greece, despite the persistently low percentage of government funding of culture (note 18) thanks to the co-financing by the Second and Third Community Support Framework over the last 20 years projects were implemented for the renovation, expansion and construction of new museum infrastructures that radically changed the country’s museum landscape (Mouliou, 2008, p. 100). The creation of green museums is the goal for the next decade. For example, the New Archaeological Museum of Athens that will be located in the district of Plato’s academy (note 19) has been designed as a museum with minimum expenditure of energy. Moreover as of 2013 (note 20) national legislation is in line with the revised EU Directive on the energy performance of buildings, which also concerns museums as “public assembly buildings” (note 21) also defining the timeframe for the completion of this process (01.01.2021). Museum exhibitions are often the communicative and learning event with the greatest impact on many different public groups. Through the interpretation of collections a museum can become a place of exploration and expression of the potential for a viable environment. One such an exhibition was curated by Bruce Mau in 2004 at the Vancouver Art Gallery, Canada entitled Massive Change: The Future of Global Design (fig. 2). The exhibition with its key idea of man’s ability to change the world invited the public through ten thematic sections to reflect on the strength and responsibility of planning social, economic and environmental issues. The exhibition, the book-manifesto and the online forum presented the opportunity for discussions on sustainability in Canada and internationally (note 22). 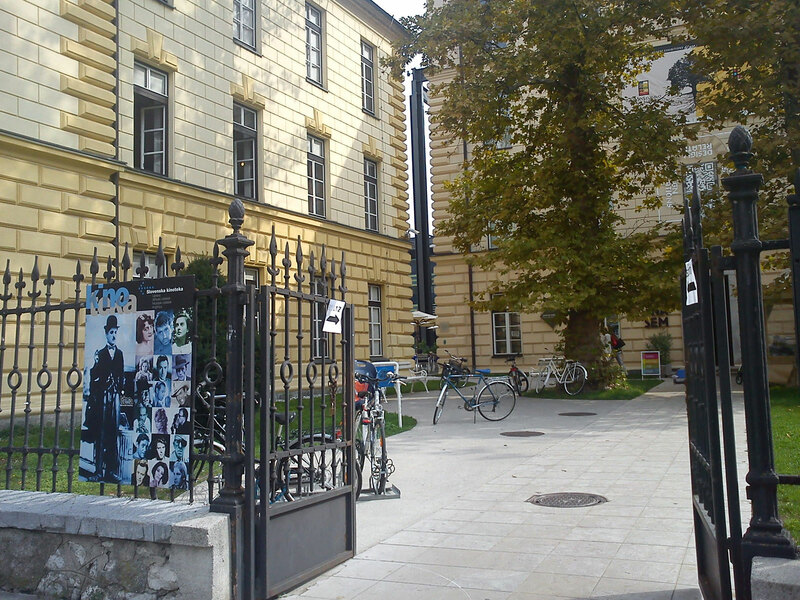 Museums also incorporate the principles of sustainability in the field of research, as they gradually make it known more consciously that the study of collections, field research, experiments and anything at any given time constituting the research function of a museum generate new knowledge to improve the quality of human life and a more effective protection of the environment now and in the future. Most museums emphasize the provision of access to this reservoir of knowledge either through exhibitions, publications and educational programmes or through special events, such as the initiative “European Researchers Night” (note 23). However, the need arising for a viable future transfers the center of gravity to more dynamic interventions that also aim at social sustainability. According to RR Janes “alongside the will needed to reduce energy consumption, there is a deeper need to change the profile of museums from that of a public service with its key features being informal education and often a artificial type of recreation, into an organization integrated into local society that will propose solutions to problems, taking into account the challenges and aspirations of the target communities” (Janes, 2010, p. 5). The Field Museum in Chicago is an example of a museum that approaching biological and cultural diversity in a holistic manner, directly channels the results of its research to society with interventions that have contributed since 1999 to the protection of over 30 million hectares of land in the Amazon and elsewhere (note 24). This same spirit is apparent in museum activities that promote dialogue and critical thought, equality and cooperation, respect for cultural diversity and the prevention of social exclusion. One of the conclusions reached by the briefing campaign on sustainability run by the British Association of Museums is that museums can strengthen their social viability by reflecting in all their activities the diversity of their surrounding society (Museums Association, 2008, p. 11). Museum projects with this target, often subsidized by the European Union programmes (without it being this present article’s intention to address viability issues of the actual projects after the end of their funding) deserve to be mentioned for their importance regarding the people involved in their planning and realization, for both their public and non-public, but also for them to be further explored for the knowledge and experience that they leave as a legacy. Museum exhibitions designed in the context of such projects and dealing with subjects of “difficult history” (Macdonald, 2010, p. 14), such as war and refugees, essentially shape the museum’s new social role. There are also such notable attempts within the Greek museum community. 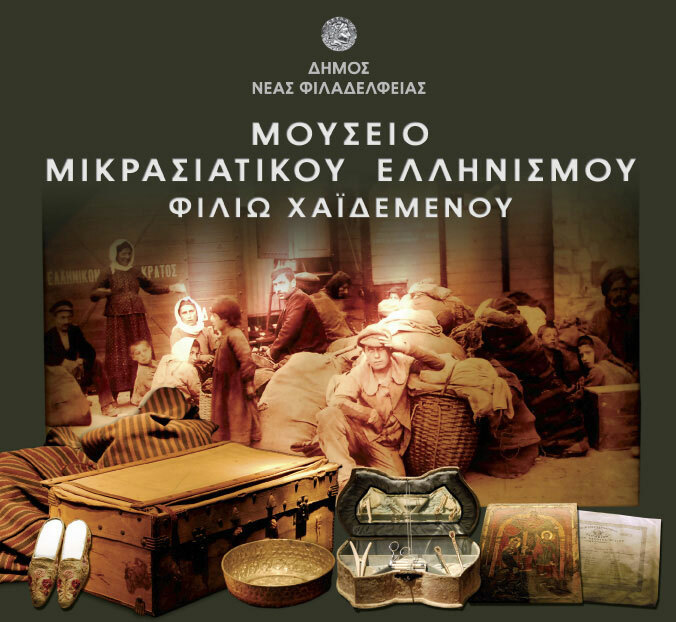 The following exhibitions deal with immediacy in issues of memory and identity: the new permanent exhibition inaugurated in 2007 by the Museum of Asia Minor Hellenism “Filio Haidemenos” (note 25) of the Nea Philadelphia Municipality (fig. 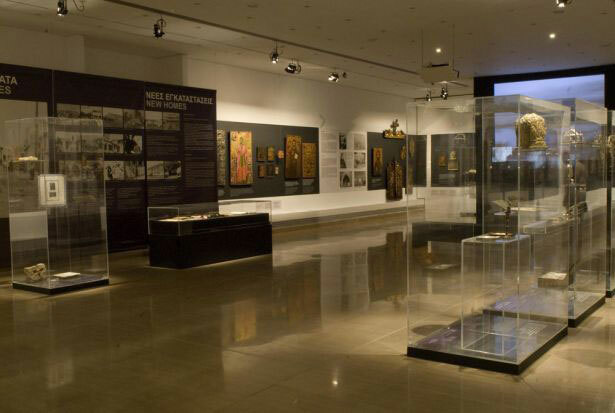 3) as well as the two temporary exhibitions People and Icons: Refugees’ Heirlooms in the Byzantine and Christian Museum in 2009 (note 26) (fig. 4) and Twice a Stranger. Deportations and exchanges of populations in the 20th century, held at the Benaki Museum in 2012 (note 27) (fig. 5). These exhibitions seek the visitor of today’s emotional involvement and critical attitude, by also introducing in the exhibition narrative testimonies of the actual victims of the war events. Moreover, by utilizing the potential of museum education, the Byzantine and Christian Museum realizes activities to increase the access of Roma populations to the cultural heritage. The projects ROMA ROUTES and At the Museum with the Roma (note 28) (fig. 6) have contributed to the effort to eliminate stereotypes, racism and social exclusion. The last five years from 2010, and with different opportunities, Roma and non-Roma visitors Made the Byzantine and Christian Museum their meeting point in the city, where they found space, time and stimuli to search for answers in issues of history and identity, to create and to discuss not only the past but also for current problems of access to social and cultural life. – programmes reaching out to the community and activism for saving endangered populations and places. These are actions that give added value to the museum establishing it “as the key reference point in people’s lives” (Mouliou, 2005, p. 9 and footnote 1) as these relate it dynamically to society. All this can be achieved by museums with creativity and commitment, in a spirit of collaboration and respect for diversity, a feeling of managerial accountability and democratic procedures. Needless to say these are also the features of a progressive and therefore sustainable society. 2. Treaty of Lisbon, 2007, Article 167. The European Union has no jurisdiction on the taking of decisions concerning cultural heritage management issues. The protection and enhancement of cultural heritage is a matter of national policy of each European country. 4. Conclusions on cultural heritage as a strategic resource for a sustainable Europe, EDUCATION, YOUTH, CULTURE and SPORT, European Council meeting Brussels, 20 May 2014, p. 2. 13. For the relevant discussion in detail: Museums Association, 2008. 14. On the issue of management responsibility: Robert R. Janes (2010), Gail Lord (2003). Also an approach in terms of cultural economy: BS Frey and S Meier (2006: 403), where there is a summary of five overall benefits for society as a whole offered by a museum just by its existence and operation. 20. Law 4122 Government Gazette 42 / A / 19.2.2013 Energy Performance of Buildings - Compliance with Directive 2010/31 / EU of the European Parliament and the Council and other provisions. This law aligns the legislation with Directive 2010/31 / EC which replaces the previous Directive 2002/91 / EC, that had been incorporated into the country’s national legislation with Law 3661/2008 (A89). 21. ΥΠΕΚΑ-ΤΕΕ, Τεχνική Οδηγία Τεχνικού Επιμελητηρίου Ελλάδας 20701 – 1/2010, Detailed national parameters for calculating the energy performance of buildings and issuing the energy performance certificate, 2nd Edition, Athens 2012, p.15. 25. The exhibition was realized by the Ministry of Culture, D / Directorate of Modern Cultural Heritage in collaboration with the Municipality of New Philadelphia. 27. 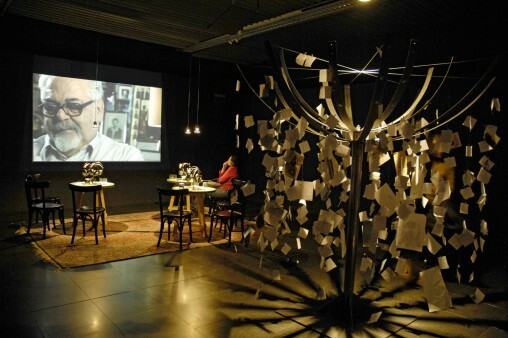 Brief description of the exhibition realized in the framework of the Programme Culture 2007-2013 of the European Union, at: http://www.benaki.gr/index.asp?id=202020001〈=gr&sid=1207 [accessed 1/11 / 2014]. Details on the project website: http://www.twiceastranger.net/ [accessed 01.11.2014]. 28. On the project ROMA ROUTES realized with the support of the Programme Culture 2007-2013 at: www.romaroutes.eu Also at: www.byzantinemuseum.gr/el/museum/EU_projects/?nid=1317 Also at: Γκότσης, Στ., Μουσείο, μνήμη και ταυτότητα. 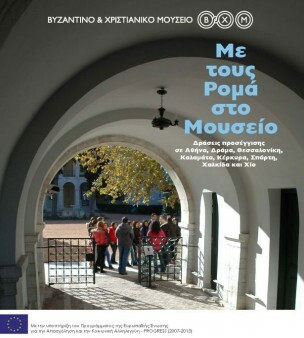 The Byzantine Museum’s participation in the European project of collaboration Roma Routes, at Ρομά. Ιστορικές διαδρομές και σημερινές αναζητήσεις, ΥΠ.ΠΟ.Α./Β.Χ.Μ, Athens 2014. On the subsidized project at: Σταματέλου, Α., Οι Δρόμοι των Ρομά, at Ρομά. Ιστορικές διαδρομές και σημερινές αναζητήσεις, ΥΠ.ΠΟ.Α./Β.Χ.Μ, Athens 2014.On the project Με τους Ρομά στο Μουσείο realized within the programme Justice 2007-2013 of the European Union see http://www.byzantinemuseum.gr/el/museum/EU_projects/?nid=1872 and in Γκότσης Στ, (ed. ), Ρομά. Ιστορικές διαδρομές και σημερινές αναζητήσεις, ΥΠ.ΠΟ.Α./Β.Χ.Μ, 2014. Adams, E. (2009), Towards Sustainability Indicators for Museums in Australia, The University of Adelaide, Adelaide. Bokova, I. (2013), The Power of Culture for Development, UNESCO, pp. 1-17. Βουδούρη, Δ. (ed.) (2014), Διαχείριση πολιτιστικών οργανισμών σε περίοδο κρίσης, Minutes of two-day conference, 31/5-1/6/2013, Πάντειο Πανεπιστήμιο Κοινωνικών και Πολιτικών Επιστημών, (The Panteion University of Social and Political Sciences) Σχολή Διεθνών Σπουδών, Επικοινωνίας και Πολιτισμού, Τμήμα Επικοινωνίας, Μέσων και Πολιτισμού, ΠΜΣ Πολιτιστική Διαχείριση. Frey, B.S. - Meier, S. (2006), “Cultural Economics”, in S. Macdonald (ed. ), A Companion to Museum Studies, Blackwell Publishing, Oxford, pp. 398-414. Hawkes J. (2001), The Fourth Pillar of Sustainability: Culture’s Essential Role in Public Planning, Common Ground Publishing, Melbourne. Hood, C. (1991), “A public management for all seasons?”, Public Administration, 69, pp. 3-19. Royal Institute of Public Administration, London. ICOM – Διεθνές Συμβούλιο Μουσείων (2009), Κώδικας Δεοντολογίας του ICOM για τα Μουσεία, Athens. Janes R.R. (2010), Τα μουσεία και η βιόσφαιρα, Τετράδια Μουσειολογίας, Τεύχος 7, pp. 4-13, Καλειδοσκόπιο, Athens. Macdonald, Sh. (2010), Η ιστορία ως κοινωνικό ζήτημα. Ερμηνεύοντας τη «δύσκολη» κληρονομιά, Τετράδια Μουσειολογίας, issue no 7, pp. 14-22, Καλειδοσκόπιο, Athens. Μούλιου Μ. (2005), Μουσεία: Πεδία για την κατανόηση του κόσμου, Τετράδια Μουσειολογίας, Issue no 2, 2005, pp. 9-17, 9 and footnote 1. Mouliou M. (2008), “Museum representations of the classical past in post‐war Greece; A critical analysis”, 83‐109, in D. Damaskos & D. Plantzos (eds. ), A Singular Antiquity: Archaeology and Hellenic identity in twentieth-century Greece. Mouseio Benaki, 3rd Supplement, Athens. Museums Association (2008), Sustainability and Museums: Your chance to make a difference, 1-23, London. UNESCO (1982), Mexico City Declaration on Cultural Policies, World Conference on Cultural Policies, Mexico City, 26 July - 6 August 1982. UNESCO (1998), Action Plan on Cultural Policies for Development, adopted in by the Intergovernmental Conference on Cultural Policies for Development. Stockholm, Sweden, 2 April 1998. UNESCO (2013), The Hangzhou declaration. Placing Culture at the Heart of Sustainable Development Policies, The International Congress "Culture: Key to Sustainable Development" Hangzhou, China, 15-17 May 2013. United Nations (1987), Our Common Future. Report of the World Commission on Environment and Development. United Nations (1992), AGENDA 21, Conference on Environment & Development Rio de Janeiro, Brazil, 3 to 14 June 1992. United Nations (2010), Culture and development, Resolution 65/166 adopted by the General Assembly, United Nations, 69th plenary meeting. United Nations (2011), Culture and development, Resolution 66/208 adopted by the General Assembly, United Nations, 91st plenary meeting. United Nations (2012), The Future we want, Rio+20 United Nations Conference on Sustainable Development (Rio de Janeiro, Brazil, 20–22 June 2012), pp. 5, 23.